As a Catholic I am embarrassed and ashamed. 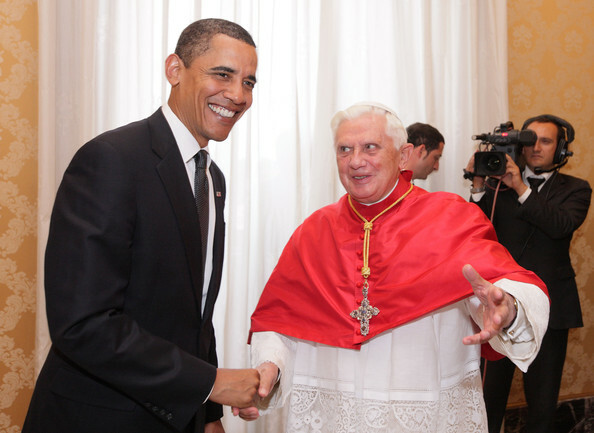 The United States Conference of Catholic Bishops (USCCB) has come out in opposition to President Obama’s health care reform efforts, despite its long-standing support for health care reform. In fact, the USCCB has long supported health care reform that includes a single-payer system to cover the uninsured, the poor, and illegal immigrants. 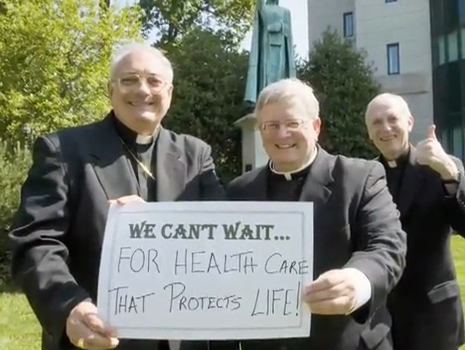 Yet, in the last couple of months, the USCCB has come out against the current health care reform bill. The USCCB has aligned itself with Beck, Hannity, Limbaugh, and Hannity by asserting that the current health care reform efforts would encourage euthanasia of the elderly, deny health care to the disabled, and would force tax payers to pay for elective abortions and bar doctors from invoking the conscience clause. The accusations read as though they were copy and pasted from Sarah Palin’s facebook page. They are advancing paranoid arguments against what is inarguably the most important health care legislation in the last fifty years. But why? One can only speculate, but it might be partisan, it could be ignorance (they have not read the bills), or it could be any number of things. This is tragic, as far as I’m concerned. I have been proud of my church’s stance on science (particularly evolution), Global Climate Change, the poor, and advocating for a more just and fair global economy. Universal health care was another issue my Church supported, which made me proud to call myself a Catholic. However, the USCCB’s current mental status has me quite concerned. 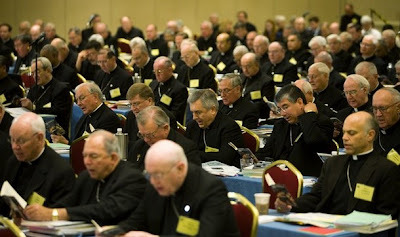 But the USCCB, which does not have any authority whatsoever, has come under fire from Bishops from around the globe. An editorial on a Catholic British website has chastised Bishops in the U.S. for their failure to stand up for a basic pro-life issue: universal health care. The Tablet editorial argues that the Bishops in the United States are wasting an opportunity where they “could play a central role in salvaging Mr Obama’s health-care programme.” Instead, the U.S. Bishops are trying to advance an anti-abortion agenda when everyone has agreed that the bill should be neutral on this issue, “rather than the more general principle of the common good.” As the editorial notes, nearly 50 million Americans are without health care, and this tragedy is only likely to worsen, as the health care industry is “[sensing] a threat to their profits” and are spending 1.5 million dollars a day to kill health care reform. Rather than attend to the poor, the USCCB has decided that they would rather turn this reform effort into a battle over abortion. The Tablet editorial makes a great point, however: the “National Health Service, one of the great forward strides for social justice, had no Catholic blessing,” yet is one of the most enduring and popular government programs in England. This is clearly a dereliction of duty. It has been clearly documented that the current health care reform effort does not force tax payers to fund (directly or indirectly) elective abortions. Nor are there any death panels for the elderly or disabled. I can’t believe that the USCCB actually believes this! All they have to do is read the bill! Again are the Bishops lazy? Are they politically motivated? Are they this ignorant? What is the deal? So, faced with overwhelming support for health care reform (including the public option) from Americans and doctors, Republicans have started arguing that the health care bill will pay for elective abortions. There is not a single grain of truth to this argument, which apparently does not matter to the USCCB. These baseless accusations have energized anti-abortion advocates, like the Catholic Church, into opposing what is an essential and basic pro-life issue. public opinion. 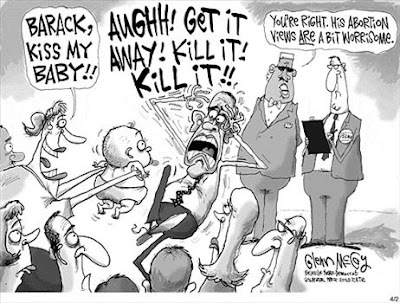 In a recent Rasmussen poll, 48% of Americans do not want tax dollars to pay for elective abortions, while only 13% think that any health care bill should use tax-payer funds to cover abortion. 32% of Americans believe that there should not be a requirement either way. What Minority leader John Boehner (and the USCCB) does not understand is that most private health insurance policies already cover abortion, whether or not people realize it. This would not change under any health care reform bill, thus making it abortion-neutral. But there’s more. While there are five different health care bills in Congress right now, H.R. 3200 is the most talked about. H.R. 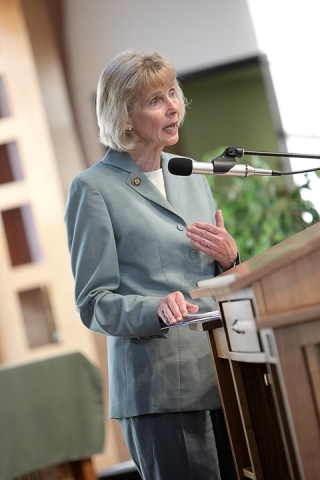 3200, for instance, has an amendment authored by Lois Capps (D-Ca), which specifically prohibits tax-payer funds from being used to pay for abortions. The bill is only seven pages long, and it is triple spaced, so it should not take long to read, however, no one cares to read it. And those who have, have consciously twisted her language to fit their narrow view. The Capps amendment also defers to the Hyde amendment, which prohibits tax-payer funds from being used to pay for abortion services. It clearly states, in no uncertain terms, that the bill would have “No EFFECT ON FEDERAL LAWS REGARDING ABORTION.” Um… that includes the Hyde amendment, in case you are a Republican or an American Catholic Bishop. How can this be any clearer? Notice that it says, “Nothing in this Act shall be construed,” yet that is exactly what Boehner, the GOP, and the USCCB are doing: CONSTRUING! Another point of concern for the GOP and the USCCB is that Obama is creating “death panels.” This has been refuted time and time again, yet there is this persistent element in our society who refuses to accept… oh, I don’t know, facts? 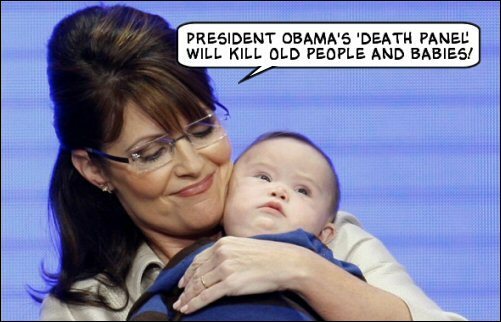 The elderly and the disabled will not be subjected to any “death panel.” It’s as pure and simple as that. The section that has been mis-represent by Sarah Palin, the GOP, and the USCCB, is on the establishment of a Comparative Effectiveness Research Center, which will “conduct, support, and synthesize research” that looks at “outcomes, effectiveness, and appropriateness of health care services and procedures in order to identify the manner in which diseases, disorders, and other health conditions can most effectively and appropriately be prevented, diagnosed, treated, and managed clinically.” This is no death panel. This is not a scheme to promote euthanasia for the elderly or disabled. Instead, the CERC will study which treatments are the most effective, thus providing patients and doctors better information and tools for sustaining and extending life, not ending it ASAP. Beyond that, the CERC would only make recommendations about the best methods, not make requirements. The bill makes that absolutely clear: “Nothing in this section shall be construed to permit the Commission or the Center to mandate coverage, reimbursement, or other policies for any public or private payer.” Again, there is that word “construed.” Does the USCCB or GOP not have access to a dictionary? The “Advanced Care Planning Consultation” in Section 1233 is not a scheme to encourage patients to pull their own “plug”. It is actually supported by AARP, which is a group that advocates for senior citizens. On the AARP site, they devote a page to debunk the absurd notion that end of life counseling is a back-door for euthanasia. They write that “Several studies in recent years have found that when doctors have end-of-life discussions with patients and families, patients have less anxiety.” The study found that “Less aggressive care and earlier hospice referrals were associated with better patient quality of life near death,” whereas those who failed to engage in those discussions “experienced worse quality of life, more regret, and were at higher risk of developing a major depressive disorder.” In other words, as people age it becomes increasingly important to know the available options. One doctor even expressed that it is in the best interest of the doctor to keep the patient alive in order to avoid lawsuits. So, for those who cannot comprehend morality, there are also financial reasons to extend the life of patients. But beyond the needs of the patient, the counseling is also important for the family, who often argue or agonize over what their loved one would want, in the event that they are incapacitated. Having a clearly defined living will prevents the hand-wringing and guilt: the will of the patient is clear and decisive, even if it means a kidney transplant for an unconscious 89 year old man. I am heartened, however, to see that not all Catholics have given themselves over to madness. Chris Korzen of Catholics United has come out strong against the USCCB, Stop the Abortion Mandate, Family Research Council, and the Catholic League, who have been promoting lies and misinformation, not to mention misrepresenting Catholic teachings. Korzen, on the Catholics United site, writes “The Family Research Council’s continued effort to distort the facts leads one to wonder whether the group’s true intent is to derail health care reform,” said Korzen. “Instead of issuing misleading attacks and inciting fear, the Family Research Council would do better to support efforts aimed at implementing abortion-neutral policies in health care reform legislation.” Catholic Charities, a non-profit Catholic organization that provides food and clothing to the poor, has been fully committed to health care reform saying “Health care reform: We can’t wait!” Though it maintains that it will not support any bill that extends abortion rights, it seems to enthusiastically support the current reform efforts, implying that it does not support the wild accusations of the USCCB. This was not an easy blog to write. I love my Church. 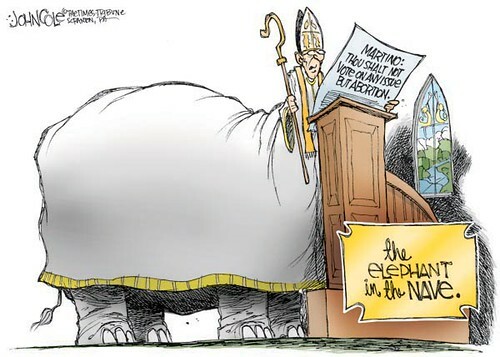 I am pained to see what is happening from conservative Catholics in the hierarchy, who are using their position to advance their own personal, partisan beliefs. But it makes me angry, too. I am pro-life. I oppose abortion, I oppose the death penalty, I support the environment, and I support social justice. But you know what? I also support the truth. I do not support lies or fabrications, no matter who is telling them. I pray that they come out of their intellectual darkness, and into the light of truth.